Our program on March 5th was a presentation by Kim Johnson, the morning anchor on WCCO-TV. She’s a graduate of Maple Grove High School and the University of Minnesota. 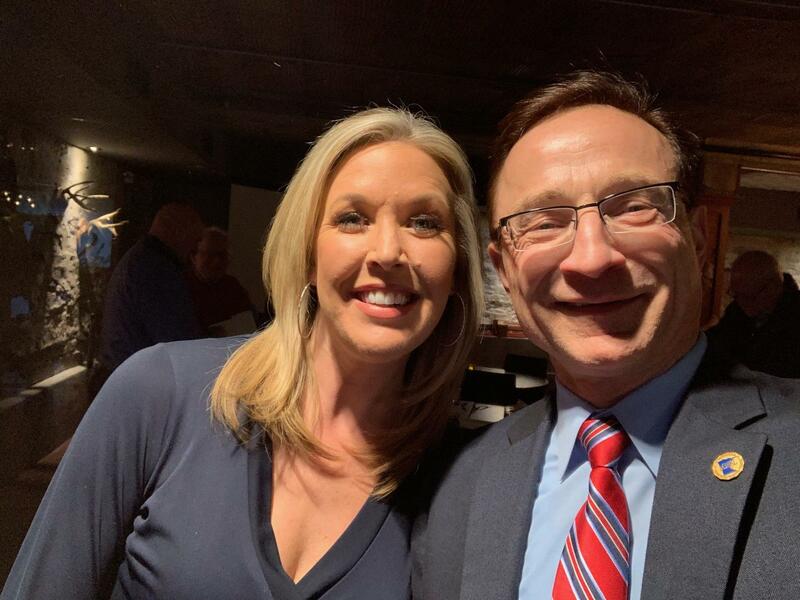 She started her career on the air in Duluth MN, then went to Green Bay, the Quad Cities, Salt Lake City, and finally arrived back here in town. For the morning show, she arises at 2:30 AM every day, and the show is presented by a team of regulars. They are a true team, both on and off the air. Kim says that she tells high school classes she talks to that when working in TV, you “have to serve your time”, that you need the experience on-camera in the smaller cities before you can get hired by a major-market station. STRIVE on Thursday, March 14th will be Dr. Donald Draayer presenting on “Values and Morality in Life” at MHS in the Writing Lab at 10:00. This is our last presentation of the year! Our April 4th program will be a discussion of the STRIVE and evaluating this year’s program. March Service Project: We will be serving dinner at Tree House on Thursday, March 14th at 5:00 PM located at Excelsior Covenant Church at 19955 Excelsior Blvd. in Shorewood. Karen Frazier and Molly Swenson are preparing the meal of Tacos-in-a-Bag and other side dishes. Volunteers should meet at 4:00 to help prepare the meal or 5:00 to help serve and eat with the kids. Rotary Social on March 19th at Maynards at Noon. Let’s get out and have some fun! No meeting on March 26th.